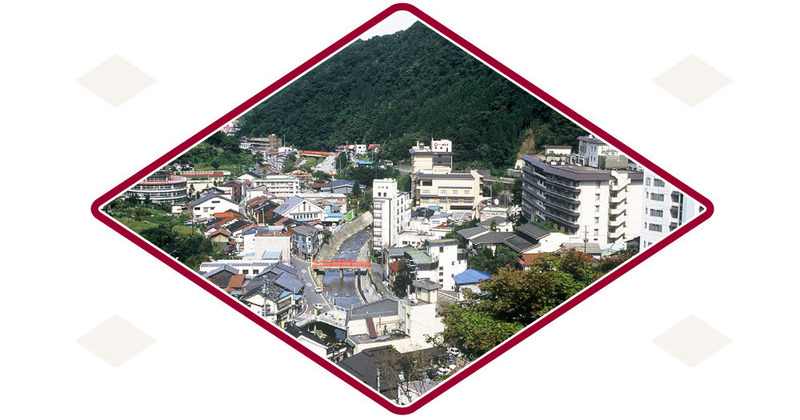 Yumura Onsen, a hot spring town that shows off the simple elegance of a mountain valley in northern Hyogo Prefecture. 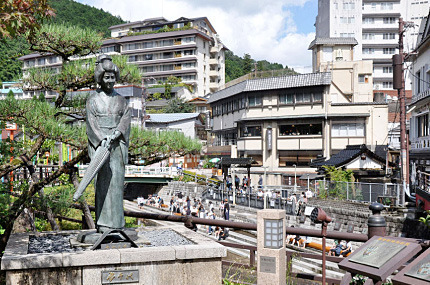 Yumura Onsen was said to have been discovered approximately 1150 years ago in the first year of the Kashou Era (848 BCE) by Jikaku Daishi. 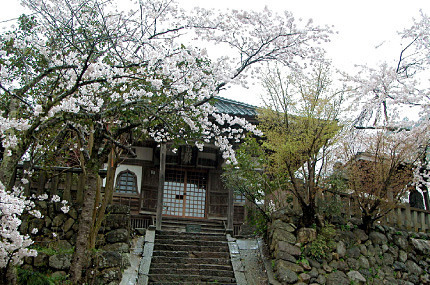 In terms of hot spring towns Yumura Onsen isn't the biggest; however for that reason it is not crowded, it is very pleasant to walk around, and the overall atmosphere is very calm. You can spend a day as if you were returning to your countryside hometown. Furthermore the whole atmosphere of town town itself changes with the seasons, so even if you visit many times you will never feel bored. Please have a relaxing and enjoyable time in this quiet hot spring town, tucked away from the hustle and bustle of the city. 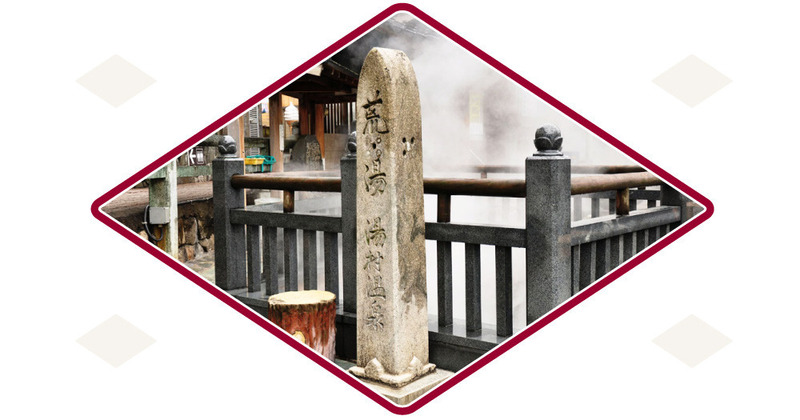 The 98˚celcius water that boils forth from "Arayu" is known as the hottest in Japan. 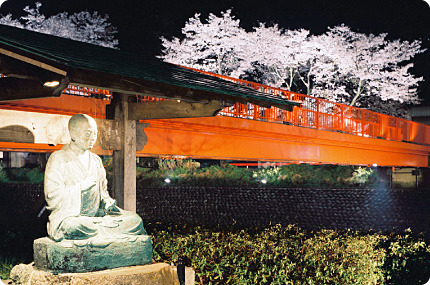 The steam that rises from the banks of the Haruki river makes the whole town seem as if it were an onsen. "Arayu Tamago," one of Yumura Onsen's famous products, are eggs that have been boiled in the scalding waters of "Arayu." 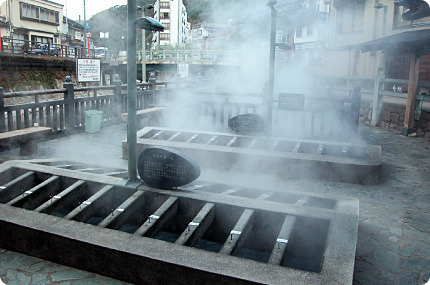 Eggs boiled in the waters of hot springs can be found all over Japan, but "Arayu Tamgo" are know as the best in Japan. As you wait for your very own eggs to boil, you can soak your feet in the nearby riverside foot bath. 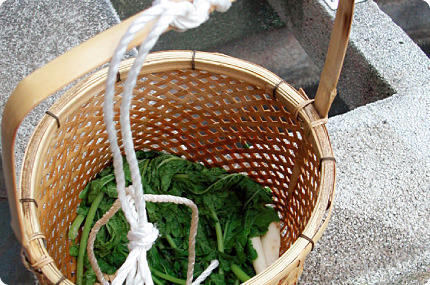 In addition to seasonal mountain vegetables; squid, octopus, and crab were also boiled in the onsen in the past. The famous "Arayu Tofu" was also born in Yumura Onsen. 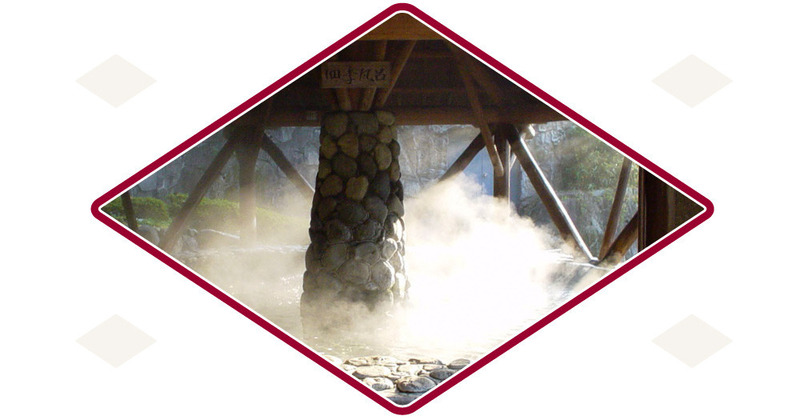 At the hot spring source in the central part of town you can feel the power of the earth that bowls forth from the earth all day. Colorless and transparent, the slightly alkaline water (ph 7.29) is very gentles on one's skin. After taking a bath, one's body not only feels pleasantly warm, but one's skin also feels extremely smooth. The water has almost no smell or taste; however in one's mouth it has an almost syrupy texture, which comes from the water's natural sodium bicarbonate content. After boiling vegetables in "Arayu" and then removing the "aku", which is a byproduct of boiling sodium bicarbonate, they become even more delicious. 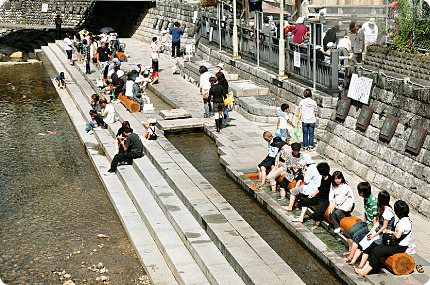 The foot baths along the Haruki river, which runs throughout the center of town are also naturally flowing onsen as well. 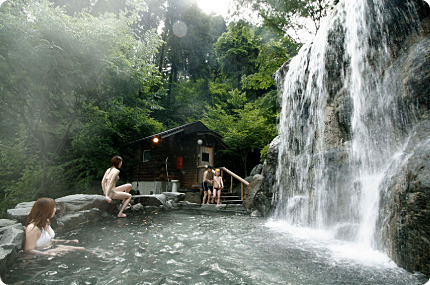 At the nearby onsen called "Refresh Park" there are several mixed gender, outdoor baths that can be entered with a bathing suit. 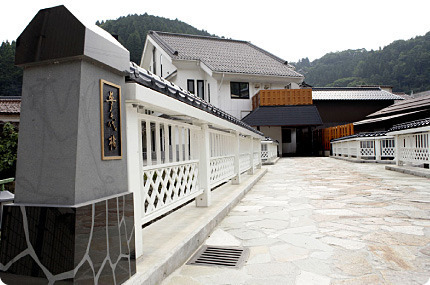 This makes it a perfect option for families and couples to enjoy the onsen together.